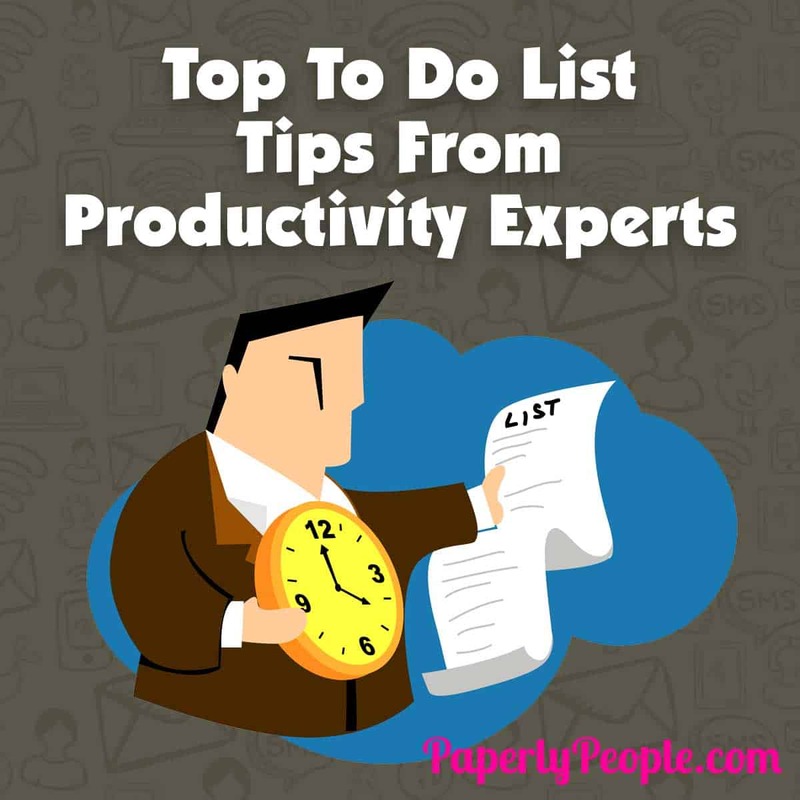 I thought it would be fun today to take a look at some of the best to do list tips and tricks from the people that I follow for all my great productivity info! This quote is mine! I have worked with hundreds of small business owners over the years and the only way you can really mess up your to do list is by trying to follow everybody’s suggestions! Instead, pick a to do list style that works with your working systems and stick with it. It took me over 10 years to finally get my main to dos and daily to dos in order. Having finally come upon the perfect solution, I am super happy to share it with you over at my Papely People Etsy store where you can get all kinds of productivity sheets and to do lists! I love this one! If you are going to have a to do list without a bigger plan for WHY you are doing things, then you might be very accomplished at completing tasks, but you won’t be moving your business forward in any measurable way! Make sure you have master plan for your business that your to dos help to implement. Mr. Allen is my idol! If you haven’t read his book, Getting Things Done yet, please stop reading this post and get over there FAST! His premise is that if you are carrying around all your “to dos” in your head then you are wasting all your creative brain cycles just trying to maintain what you are supposed to do. By getting a to do system that is organized and efficient, you leave more time for doing things and less time for stressing about what you haven’t gotten done. I am not sure Mr. Gladwell has written specifically about to do lists, but he does talk about what it takes to be able to accomplish big goals while overcoming adversity. In this book he talks a lot about underdogs who had dyslexia and who were able to develop personal systems for overcoming that disability (in fact making it an asset). If you are this interested in to-do lists, you are probably struggling with setting yourself up a system for accomplishing your goals. Make sure you find a way to structure your to dos so that you can get things done and have a master plan for why you are trying to accomplish these goals! When you hear about people who are crazy busy and successful, you might think that they have a special system or secret about how to get things done! But as Ryan Holiday shows, you can use notecards, like Ryan does, or worksheets, like I do. Any system you have that works well for you will keep you on track and moving forward! I am a total pen and paper kind of to-do list kind of gal, but I know that lots of you are digital peeps. Michael Hyatt has a great workflow outlined in this post for how to do your list on the computer. One thing I love is that he underschedules himself. I think this is the one area that we all fall down in. Somehow we magically assume that there will be more hours added to the day and that we will be able to cram extra items into the day! Since I started using your project sheets for my brain dump, I am more productive. The project pages keep my brain clear of clutter and allow me to hear the new opportunities. I can choose what is important and know the ideas will be waiting for me when I have time or the need. Thanks!